The Pres and I love Ruby Tuesdays. And every once in a while, we like to go out and get away from our home cooked food and enjoy someone elses! 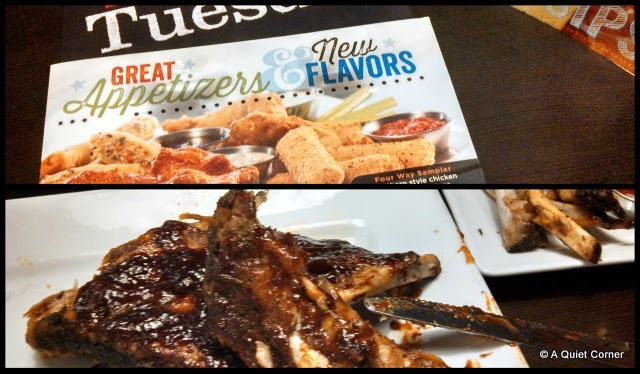 Yes, there are a lot of Ruby Tuesdays around here! And they have very good salad bars, too! For some strange reason, they are all right beside Applebees! I am sure they are each other's biggest competitors. Me too! I had ribs last week when we were out for dinner for #2 daughter's BD - fell right off the bone. Thanks for linking to Mosaic Monday JP. Looks good we dont have a Ruby Tuesday here. hubs loves ribs...me...not so much..